This sample shows how Paris can be used in the healthcare services industry to produce secure prescriptions on plain paper. Ideal for applications that use expensive pre-printed paper. Replace costly pre-printed prescription paper with plain paper by using special secure features in Paris. 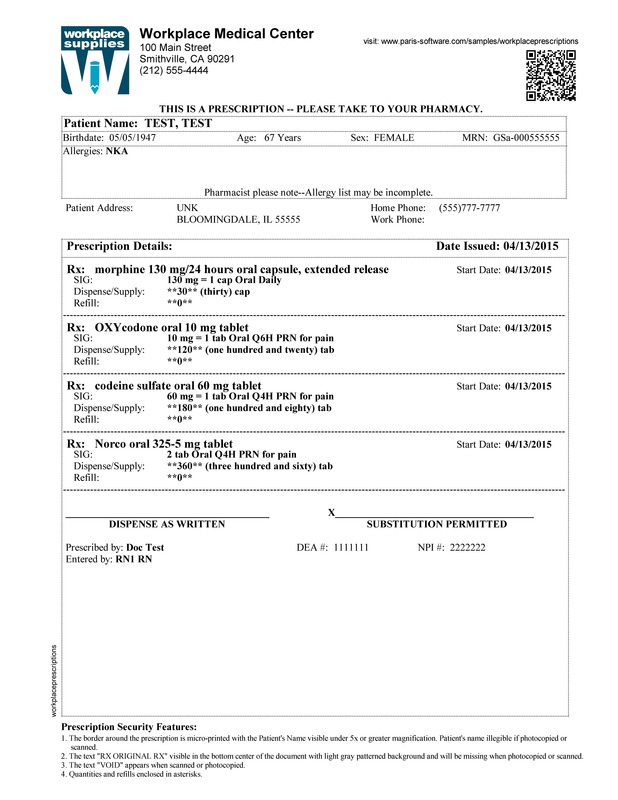 In this example, we are using the Paris Secure Printing features to print prescriptions on to plain paper for significant cost savings and elimination of security concerns around storing special prescription paper.